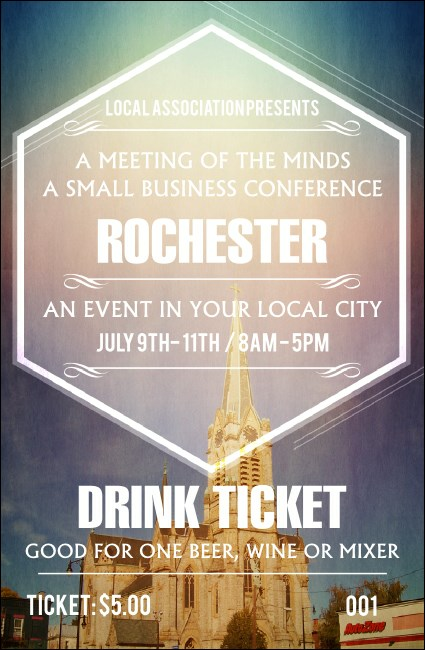 Give your bar sales a better image when you sell Rochester 2 Drink Tickets at your next event in the World’s Image Center. Kodak has nothing on these tickets with a beautiful picturesque background shot that includes Saint Michael’s Church along with sequential numbering for easy event security. Find the right ticket for Flower City at TicketPrinting.com.